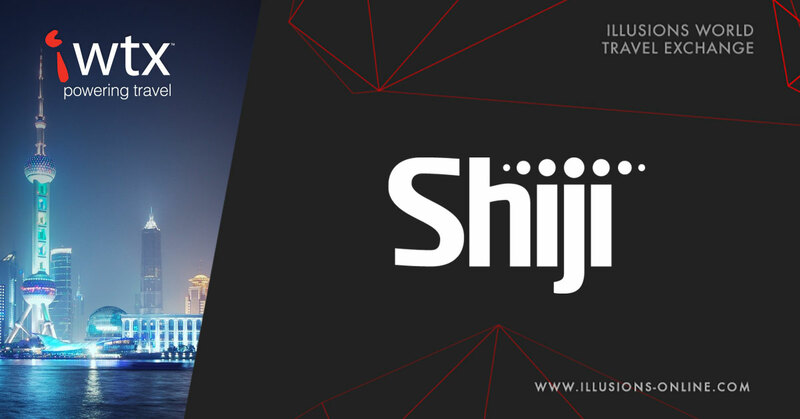 Illusions Online and Shiji Group announced today that the two companies have developed a strategic partnership to bring mutual benefits to their customers. The partnership has led to established connectivity between iWTX, Illusions Online’s real-time, hotel/excursion marketplace and Shiji Distribution Solutions. The two-way partnership allows Illusions Online to extend the distribution capabilities of iWTX to China, Hong Kong and other key markets in the Far East; as well the ability to offer connectivity to key Chinese Hotels to their buyer network. "We are all aware of the tremendous growth in China’s outbound and inbound travel markets and are very excited to have partnered with Shiji Group to easily automate agreements Chinese buyers have with our supply customers, as well as allowing them to benefit from our readily accessible agent rates" said Arjun Ravrani, Vice President, Strategy & Connectivity, Illusions Online. "We have a series of marquee clients to onboard in terms of connectivity and are very excited to announce these over the coming months." The partnership allows hotel chains using the iWTX network to have immediate access to Shiji’s connected partners. Connected partners will be able to easily automate their direct relationships whilst using iWTX as a reseller to handle their long-tail business. iWTX also has an inbuilt VCC account which also handles the mandatory payment terms associated with dynamic inventory. "We are very keen to bring such high-quality product to our customer base in China and have worked very hard on our partnership with Illusions Online to ensure a series of smooth customer rollouts in the next 6 months" said Anson Lau, Managing Director, Shiji Distribution Solutions. "China has historically been a difficult market to penetrate, in terms of technology and overall speed of uptake, however our distinct market offering and timing are key to changing this. We are committed to work with Illusions Online as the main supplier of overseas inventory to our growing customer base." Shiji Distribution Solutions ("SDS", formerly CHINAonline), a division of Shiji Group (Shenzhen Stock Exchange: 002153), is a leading online distribution technology and service provider. Founded in 2007, SDS built the first online travel distribution platform in China. It has expanded both domestically and internationally and now has offices in USA & UK. Over 70 hotel groups, 200+ distribution channels, 2500+ independent hotels and 30,000 properties are using SDS to streamline their distribution.